No one enjoys attempting to get health insurance quotes. Features, coverage, and benefits can be confusing and forms complicated. Even worse, comparing quotes and policies can be frustrating and mind-boggling – so many choices and options can be paralyzing. Fortunately, there is an independent insurance agency that makes the process a whole lot easier and getting health insurance quote less stressful. 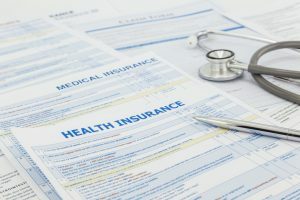 Here at Keating Agency Insurance, we have highly-experienced, objective health insurance specialists who can evaluate and analyze health insurance policies from many of the country’s top providers to put together health insurance quotes that are just right for you. Why go through an independent insurance agency health insurance quotes instead of going direct? Contrary to popular consumer belief, independent insurance agency pricing is actually better than going directly to the insurance company Why? Because insurance companies know they can provide lower premiums through an independent insurance agency because the risk is lower. At Keating Agency Insurance, all our health insurance specialists are highly trained and experienced at choosing the right policies for our clients, so the insurance company knows the policy chosen will best match your specific needs. As an independent insurance agency, Keating Agency Insurance goes to bat for each and every client. We’re on your side to help you cut through the red tape and get what you need from the insurance company. And let’s not forget peace-of-mind. We check all health insurance quotes, double-check all policy details, and make sure that you understand what you’re getting and what it covers. So if you’re looking for health insurance quotes, look to Keating Agency Insurance. We’ve got you covered.